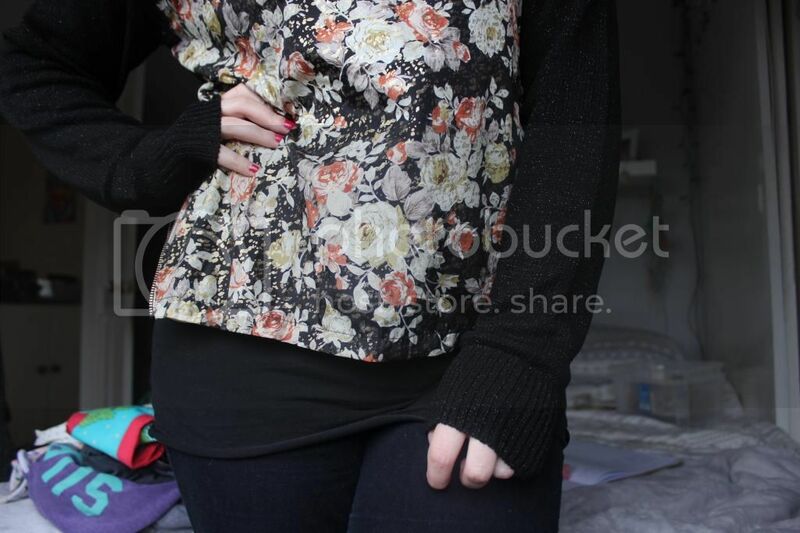 Floral Knitwear - Blue Vanilla; review. A quick little post this week for this adorable little jumper. With the colder months in definite swing I love any excuse to wrap up in my jumpers, so when this came through my door I knew it was about to become part of my collection. Honestly when I first looked at this jumper my heart wasn't completely set, for the price, the jumper feels very cheap and not the most amazing quality...well that's more the chiffon front, the knitwear of the sleeves and back are actually much better in quality. 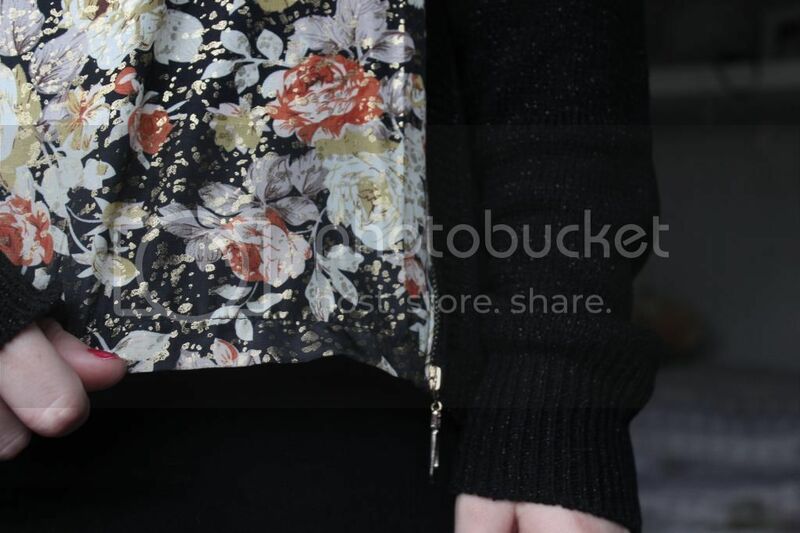 With little gold shimmers within the knitwear and gold specks across the chiffon this is a perfect item that mixes the cuteness of both summer florals with winter needs. With my always indecisive-ness I wasn't too sure if I'd love this or not and while I'm still a little disappointed with the material quality, I'm actually kind of in love with the jumper and have already worn this multiple times and know I will continue to make this part of my go-to winter wardrobe for the next few months. Lovely, very honest review :) It breaks my heart every winter when I need to say goodbye to my florals, this item might just save me from that hear break! 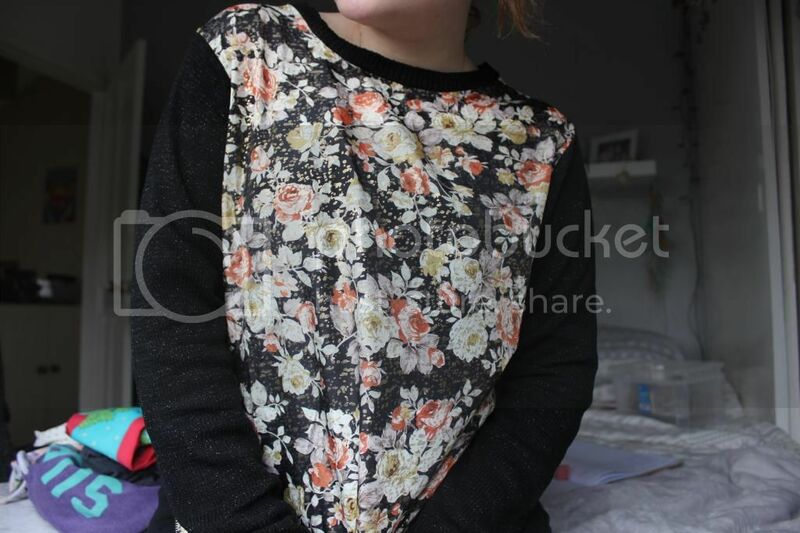 Such a cute jumper! I would never usually go for something floral but you've changed my mind!